Total length of the flow, of river Una is about 212 kilometers,a river has its wellspring nearby places of Donja Suvaja and Donji Lapac below the slopes of mountains Pljesevica and Strazbenice in the Republic of Croatia in Lika and gets joined with the river Sava next to Jasenovac. Climate next to Una river is continental. During the dry summer months the river Unu characterize low water level but from November until the end of spring river water level is quite high and often floods are seen . 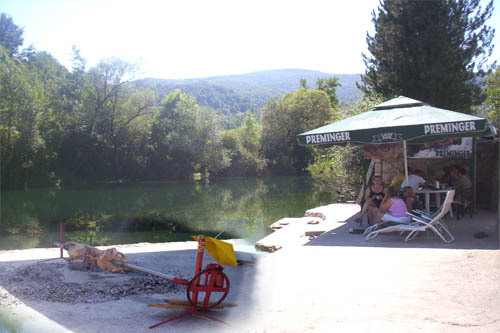 At the starting point UNA has the characteristics of mountain river, and all the way to Martinbroda Una has the first category of quality of water. 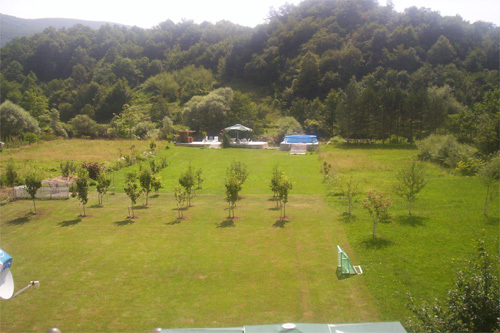 All the way to Bihaca Una flows in direction of dinara from the southeast towards the northwest, after that a stream of the river turns towards the north-east and it still runs deep, inside wide valley, where quality of water differs. Hunting measures: river trout 50 cm, rainbow trout 45 cm, graft 70 cm, grayling 40 cm. 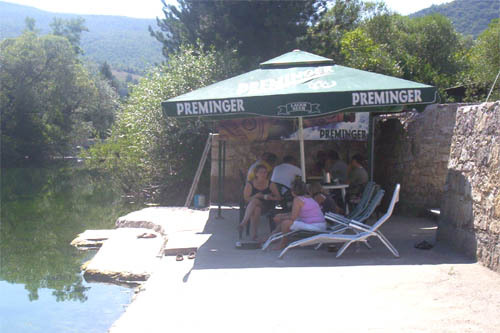 Daily permits for citizens of Bosnia and Herzegovina - EUR 21.00, daily permits for foreign nationals - EUR 26.00, an annual permit for citizens of Bosnia and Herzegovina - 385.00 EUR, annual permits for foreign nationals - EUR 513.00. 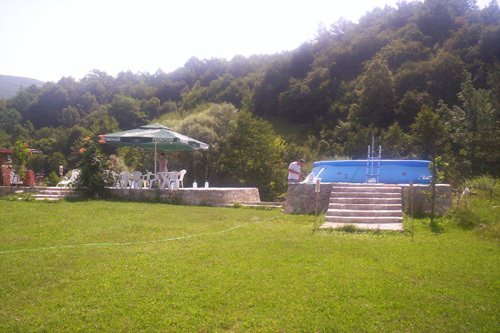 Rafting and kayaking are the most exciting and the most frequent sports and recreational activities in the waters of the National Park "Una", which offers some excellent organized rafting agencies that will provide you with memorable moments of the most attractive sailing on the river Una, from Štrbački buk to the settlement Lohovo. The route extends, with its entire length, through the National Park, a distance of 15 km. The weight of Una, during high water levels, during April and May, is from 3-5 degrees. The first part of the route is long, violent, unpredictable, full of rapids with lots of waves and vortices. During the middle levels, the weight is 2 - 4 degrees, the path is complex and powerful with the swirling water around the tufa rocks, with currents and curves when the adrenaline surprises are possible and desirable to feel the full experience of sailing on this river. 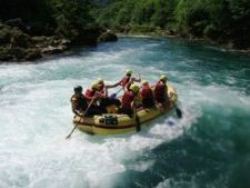 Depending on weather conditions during a particular year, the season of rafting on the Una, runs from March to October. Time it biking, tied mainly to the asphalt but, when the first models of mountain bikes, as their name implies, has opened a whole new world of pleasure on two wheels - ride in the countryside, driving over the gravel mountain roads, or even where it does not set forth trails. Riding in groups every participant brings security, but also pleasant and nice atmosphere. However, the group, she finds herself on unfamiliar ground, is faced with a dilemma: which way to proceed. forest roads is endless, often not marked on outdated maps to which the already difficult to come and ride the same trails are not always a real pleasure.